Innovation in delivery form has been a mega trend in the Health and Nutrition industry. Brand marketers have evolved from offering simple forms to adding unique new forms of delivery as product extensions. Capsugel has led in product innovation to include liquid-filled capsules, beadlets-in-capsules and capsules-in-capsules. Market research has shown that these concepts resonate with consumers as modern, unique, and worth paying more. Capsugel’s portfolio of products and services address a broad spectrum of delivery technologies and applications to help you tailor your products to meet consumer demand. These filled and finished capsules are created through proprietary manufacturing which ensures quality and consistency in the final finished form. From liquid-filled capsules, to beadlets-in-capsules, to DUOCAP, Capsugel has now extended the portfolio to include Lipid Multiparticulates for encapsulation or for bulk powder incorporation. Depending on properties and form of your ingredients, Capsugel can assist you in designing a unique finished product and then manufacture and deliver it to you for your packaging, labeling and branding. Attitude and usage preferences for various oral dosage forms across a variety of product categories. 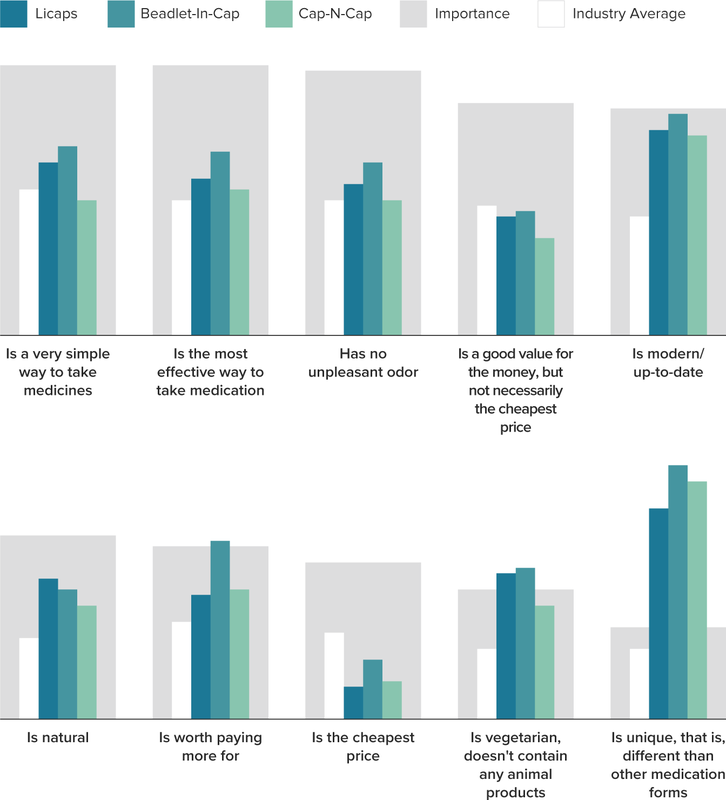 The below graphs show consumers preferences for products vs. importance vs. industry averages.